Apple's new iPod nano unveiled Wednesday will allow users to record video, listen to FM radio, and track the number of steps taken by exercisers. Touting the camera as a "free" addition to the nano, the 8GB model will cost $149 and has a total size of 1.1 cubic inches. 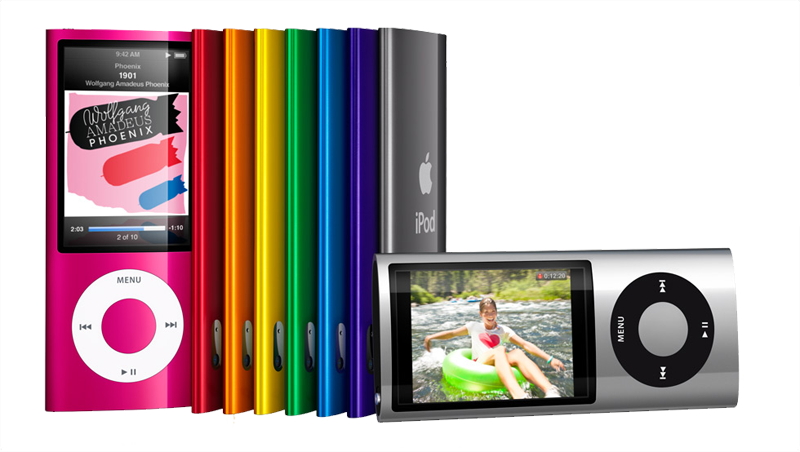 Apple co-founder Steve Jobs noted during his presentation that a portable Flip camera with 4GB of storage sells for $149. A 16GB model will be available for $179. Both are available today in a variety of colors. "iPod nano is the world's most popular music player with over 100 million sold," said Jobs, Apple's CEO. "And now we've added a video camera to its incredibly thin design, without any additional cost to the user." The new nano has a polished anodized aluminum exterior, and sports a larger 2.2-inch display. It also features voiceovers that tell the listener what is currently playing. 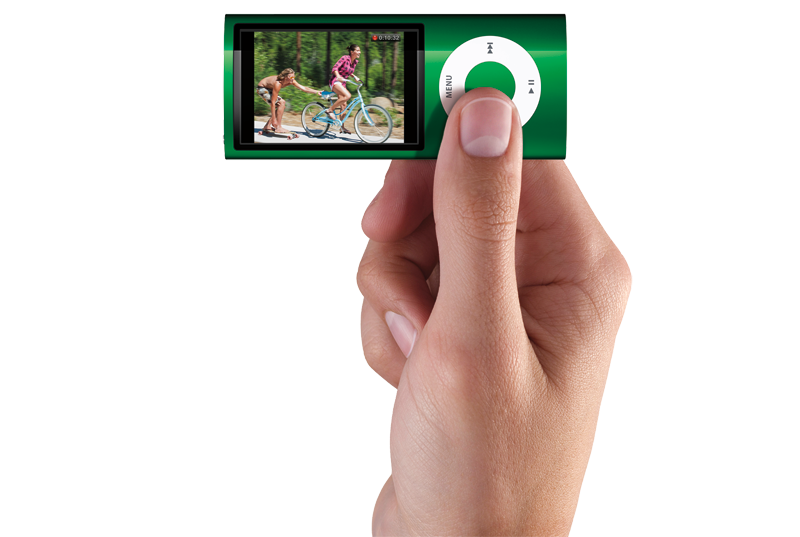 The integrated video camera will allow users to record videos, as well as review them and add "special effects," such as film grain or motion blur, directly from the iPod nano. The content can also be synced to a computer and uploaded directly to YouTube with one click. Video can be shot in either portrait or landscape mode. The built-in FM radio features live pause. This allows users to pause and resume playing a station. The new iPod nano also includes iTunes Tagging, which allows users to tag songs they like when they hear them on the radio. The song can then be previewed and purchased from iTunes, and synced back with a host computer. The new built-in pedometer will sync to the Nike+ software without the previously-required external transmitter. The system keeps track of steps taken and calories burned. The new hardware also allows Genius Mixes. This feature automatically creates up to 12 "endless mixes" of songs from the iTunes library, using the Genius feature to find songs that go well together. The new iPod nano reportedly provides up to 24 hours of music playback, or 5 hours of video on a single charge. 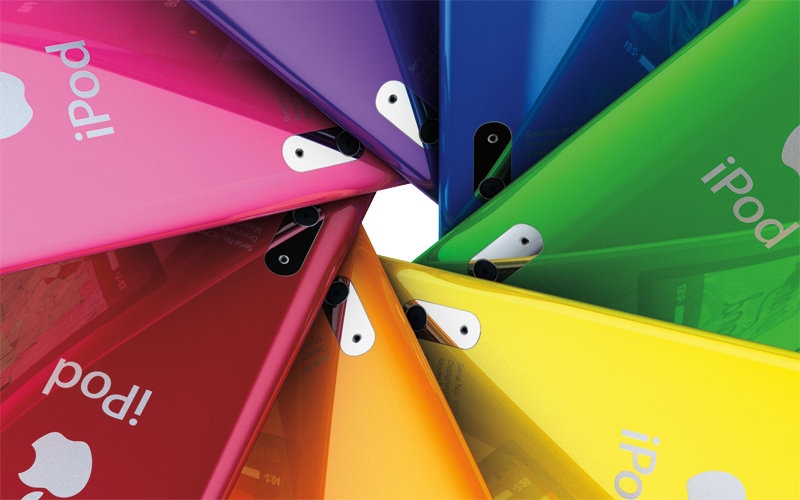 The 8GB model can record up to 7 hours of video, while the 16 GB model will capture 14 hours.